All teams are insured and bonded. 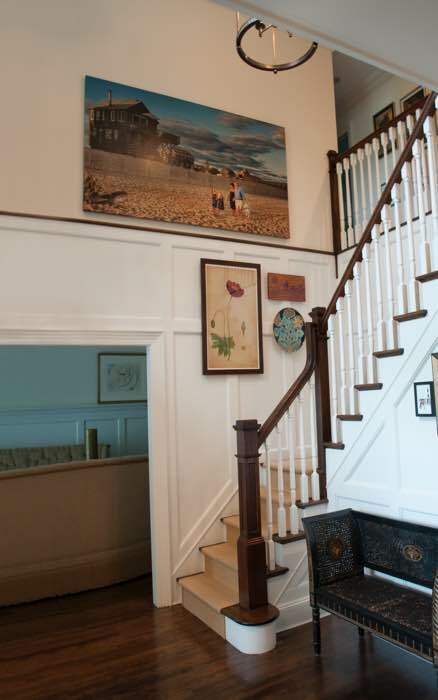 The Ryan family selected a wall on the second floor of their home for the location to display their piece. 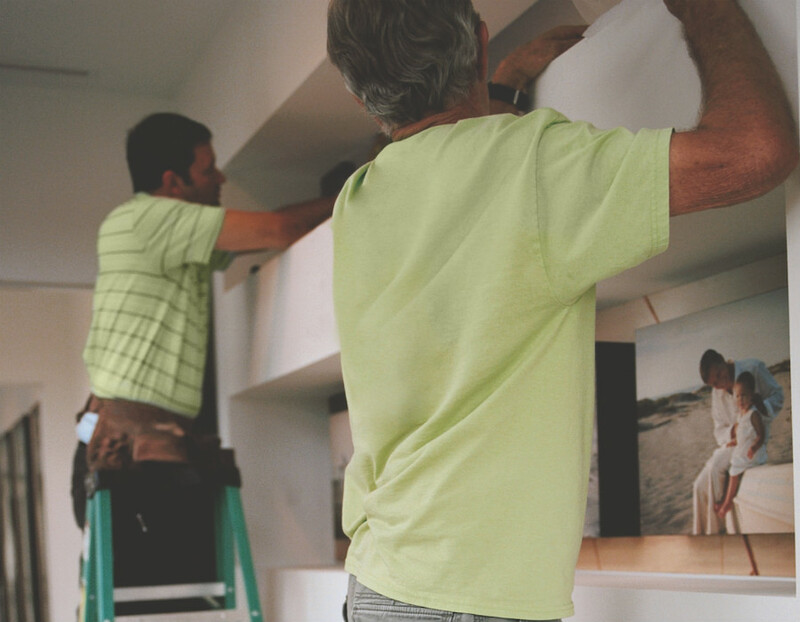 Due to the height of the wall and the challenging installation requirements, Michel brought in a skilled professional crew and personally managed the process. 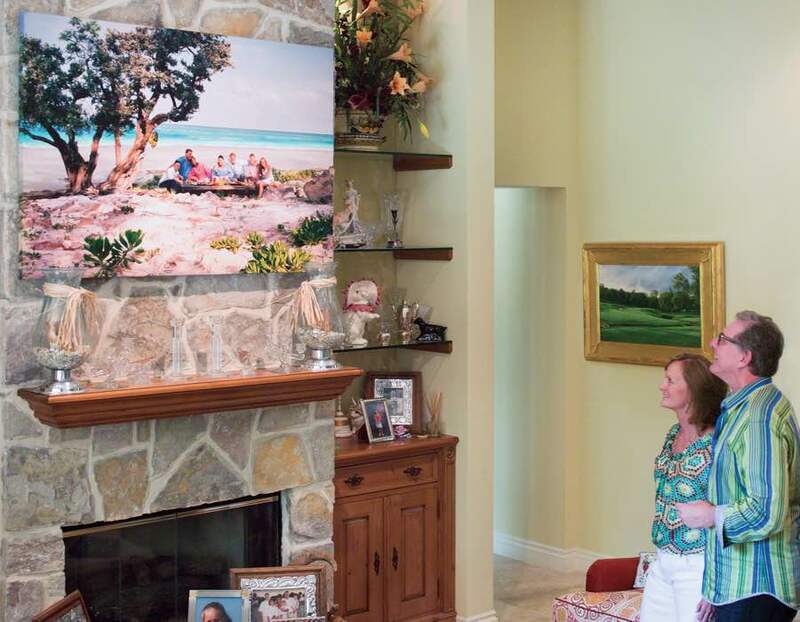 The Ryan family appreciated the full range of services Michel provided and the flawless installation of their piece. The Demers home had three wall niches at the entrance of their master bedroom suite, each measuring 97 inches wide by 20 inches high. 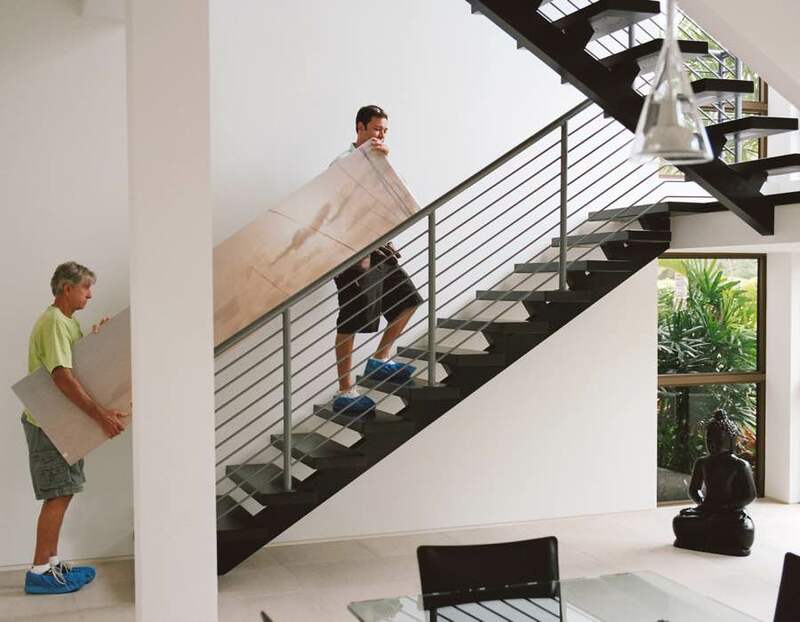 They wanted to incorporate their new family images into these unique spaces and asked Michel for ideas. 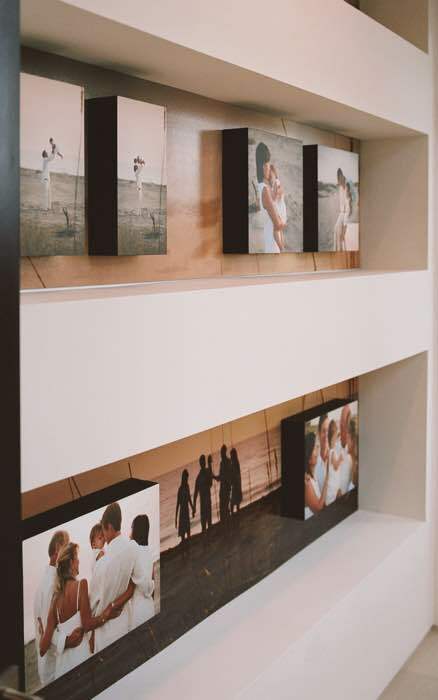 As you can see to the left, Michel used one image as the backdrop for the niches, then placed six three-dimensional pieces mounted on wooden blocks on top for an artistic, clean, modern look. The Demers family appreciated the creative approach and the many details Michel considered for this unique installation. 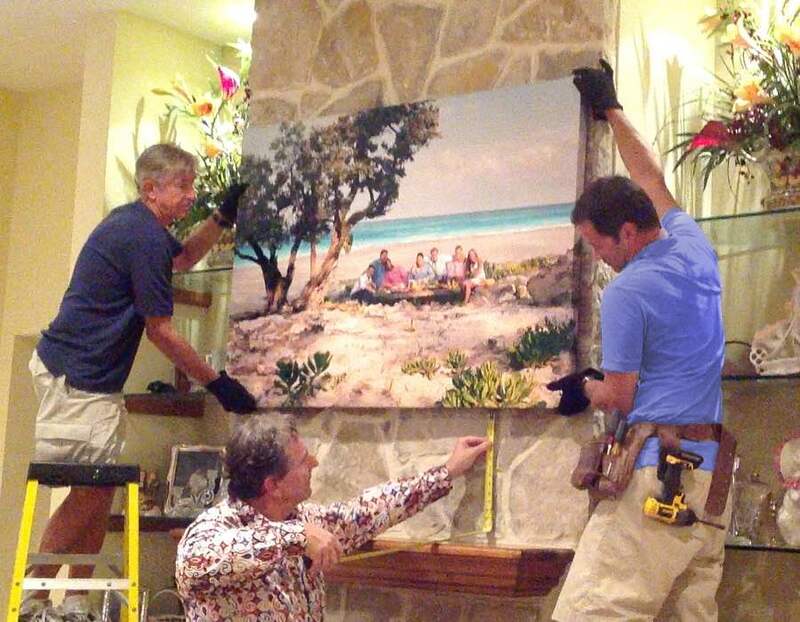 Michel delivered four family pieces to the O'Learys including one to display over the fireplace, which required drilling into natural stone. 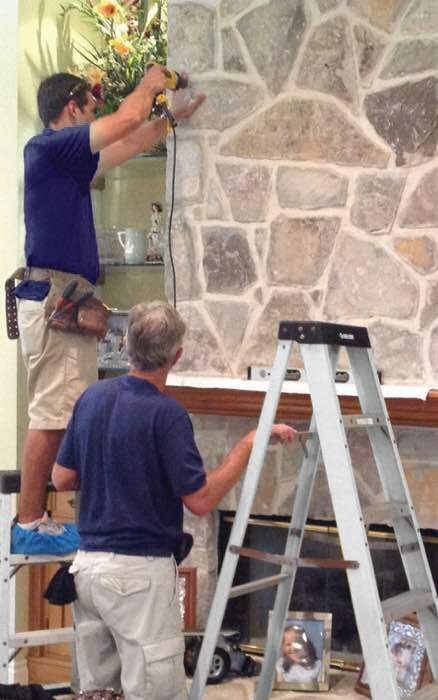 Michel arranged for an installation crew with a specialty in drilling into natural stone, and was on site to direct them to ensure that the piece over the fireplace was positioned perfectly before the drilling ensued. 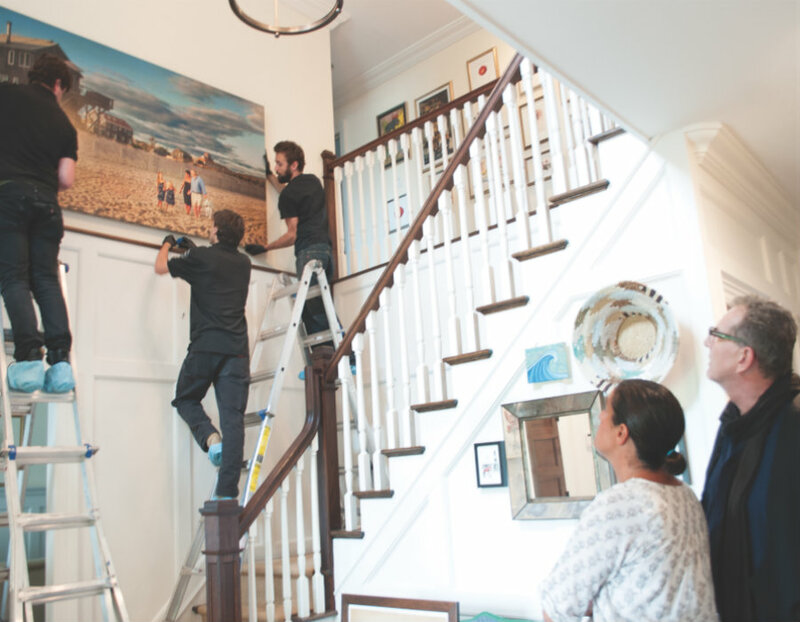 The O'Leary family was relieved that the process went so smoothly and were thrilled with the outcome.